The warm and beautiful colors of Spring have finally arrived and Easter is calling for some family time. We thought it’d be fun to focus on the bountiful Easter Egg Hunt instead of coloring eggs this year. So, while we were counting the number of eggs in each kid’s basket, Quincie went on a ride in the biggest Easter Egg she could find —a hot air balloon— to check some Easter traditions around the world. Check this video courtesy of History.com. Did you and your kid/s celebrated Easter around your area? Let us know in the comments below. 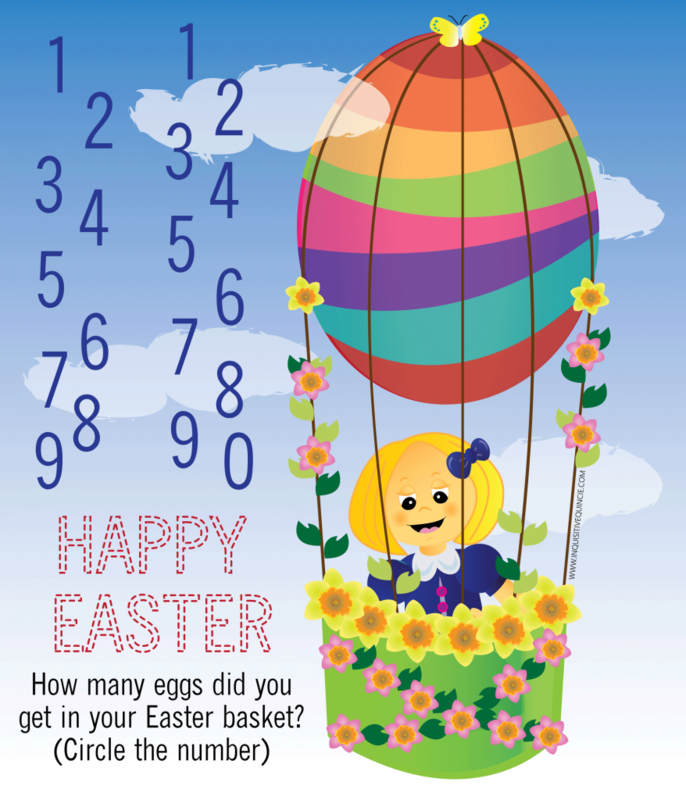 We’d love to know how many eggs were in his/her Easter basket? Please enjoy & download the printable art here. Love, peace, and quality time.